African Matabele ants dress the wounds of comrades injured during hunting raids and nurse them back to health, according to an “astonishing” discovery reported Wednesday. After collecting their wounded from the battlefield and carrying them back home, nestmates become medics, massing around patients for “intense licking” of open wounds, according to a study in the journal Proceedings of the Royal Society B. This behaviour reduces the fatality rate from about 80 percent of injured soldiers to a mere 10 percent, researchers observed. The study claimed to be the first to show such nursing behaviour in any non-human animal. “This is not conducted through self-medication, as is known in many animals, but rather through treatment by nestmates which, through intense licking of the wound, are likely able to prevent an infection,” said study co-author Erik Frank. He contributed to the research when he was at the Julius Maximilian University of Wuerzburg in Germany, and continues his work at the University of Lausanne in Switzerland. Frank had also taken part in a previous study, published last year, describing the ants’ battleground rescue behaviour. The new research focused on what happens to the injured back in the nest. Matabeles, one of the world’s largest ant species, are fierce warriors and attack even humans with their ferocious bite. Named after Southern Africa’s feared Matabele warrior tribe, the insects hunt termites bigger than themselves, attacking their feeding sites in column formations of 200-600 individuals. This hunting method causes many ants to get hurt, often having their legs bitten off by termite soldiers. In the aftermath of fighting, while some of the ants return home with their dead termite prey, others scuttle around the battlefield looking for injured colleagues. “After the battle, injured ants call for help with pheromones,” a chemical SOS signal produced in a special gland, said Frank. Rescuers use their strong jaws to pick up the wounded and drag them back to the nest for treatment. Astoundingly, warriors that are too severely injured — missing five of their six legs, for example — signal rescuers not to bother picking them up. 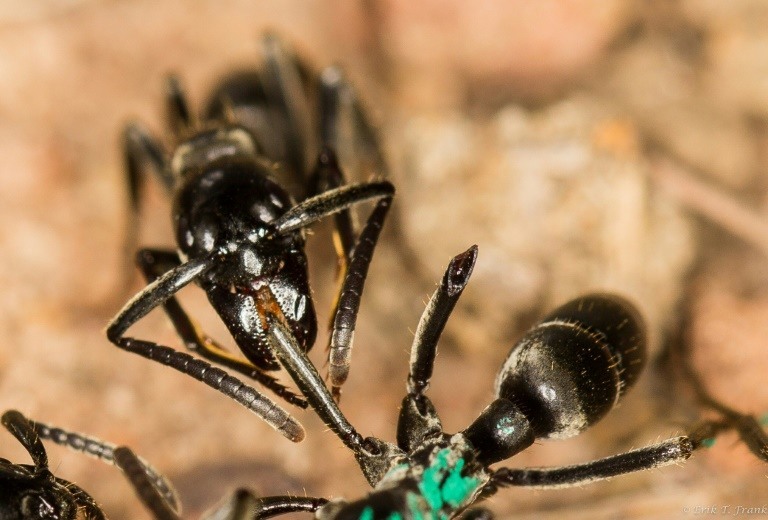 Unlike peers that are less seriously hurt and lie still to make their saviours’ job easier, terminally-wounded ants lash out and struggle until rescuers give up and move on. According to Frank, three to five ants from a colony are injured in an average raid — adding up to about 20 casualties a day. “Since the colony has a relatively small birth rate of only 10-14 ants per day, this high number of injuries per day would be very costly for them if they wouldn’t save the injured,” he told AFP by email. The discovery raised several questions, said the University of Wuerzburg, hailing the “astonishing discovery” in a press statement.